• can wait on a social services waiting list for early intervention services for four to six years! When a child is fortunate enough to be diagnosed early at two years of age, which is almost a miracle in itself in a thoroughly dysfunctional system, the government offers the child easy access to a waiting list for treatment, with full knowledge that the child will age out before his turn comes up. We all know it is critical to start at two years of age when the child’s development window is great, but apparently that is does not keep Ontario bureaucrats up at night. Monty Python’s parody on the dysfunctional British society of the 1970s could have been written for children with autism in Canada. 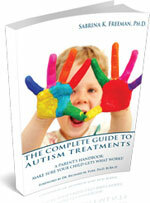 Unfortunately, children with autism need quality therapy, and they need it when they are diagnosed!